out of your next move. MOVING CHECKLISTS ARE A GREAT WAY TO KEEP TRACK OF EVERYTHING! Don’t wait until the last minute – the first and most important point to remember when moving house, is to plan ahead and allow yourself plenty of time for packing. If you fail to plan, essentially you are planning to fail. The excitement of finding your “dream home” can often end up being overshadowed by a nightmare move. 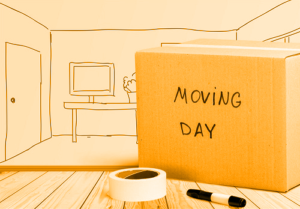 Quite often the stresses of moving can be avoided, simply by planning your move and packing as early as possible. HIRE A PROFESSIONAL FURNITURE REMOVALIST AND REMEMBER THE CHEAPEST OPTION ISN’T ALWAYS THE BEST! Book an experienced removalist, one with an excellent reputation. Take the time to view testimonials from previous customers. Reviews are based solely on customer satisfaction and offer information directly related to personal experience and level of service provided by a business. Pack smart – do not pack items you no longer want. Start packing early to allow yourself plenty of time to go through each room. Only pack items you want to take to your new home, unwanted items can be put aside and donated to charity, sold or thrown away. Start by packing items you rarely use first. Clearly mark boxes containing “fragile” items. Label all boxes appropriately, knowing what is in each box and where it belongs will save time at your new home. Secure valuables and personal documents in a safe place, to be included in your “Moving Day Kit” along with other essential items. Ensure this box is packed in your car on moving day. Arrange for phone and utilities to be cancelled and organise connection at your new address, prior to your move. Finally update your address – identification documents including passport and drivers license, notify schools, insurance companies, medical and dental care providers, etc.